SAP system performance will be severely impacted if there are any bottlenecks in the resources provided by the operating system, therefore it is important to closely monitor the system resources at the OS level. The risk involved in late detection of an OS problem can cause undesirable system downtime. A common example is the Oracle DB error: Archive Log Full ORA-00257, which is associated with loading of large volumes of data while archive logging is turned on. This error usually occurs when the allocated space for Oracle archive log is full, thus resulting in a system freeze which requires a clean up of some/all of the logs in order to restore the database to normal operation. This type of incident could have been easily avoided if an automated resolution method were to be in place to address volume/disk full issues. Typically, performance indicators are Average CPU load and utilization, Memory utilization, Paging-in and paging-out of data from working memory, Disk utilization information, LAN activity, System workload; and ensuring that they are well monitored can be the decisive factor in maintaining a high system availability. SAP allows you to monitor system resources with the aid of the operating system collector – SAPOSCOL. This helps to uncover the root cause of a performance problem. It also means SAPOSCOL agent needs to be updated on a regular basis and running on every host to provide the needed OS monitoring. To be able to centrally display operating system data for as many hosts as possible, the central monitoring system (CEN) can be utilized. 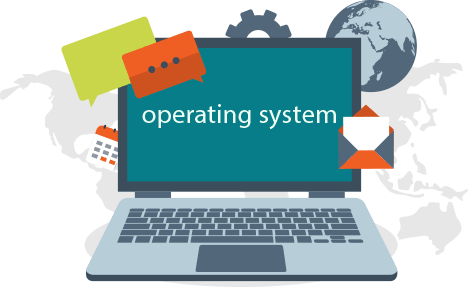 The state of the operating system can also be ascertained using OS06, OS07, or ST06. Top OS process is possible just as a current snapshot. In SAP, operating system data can also be monitored using the CCMS monitor (transaction RZ20). OS monitoring is done in isolation per system and not in relation to other SAP performance and activity monitoring, therefore it’s hard to correlate root-cause of problems.